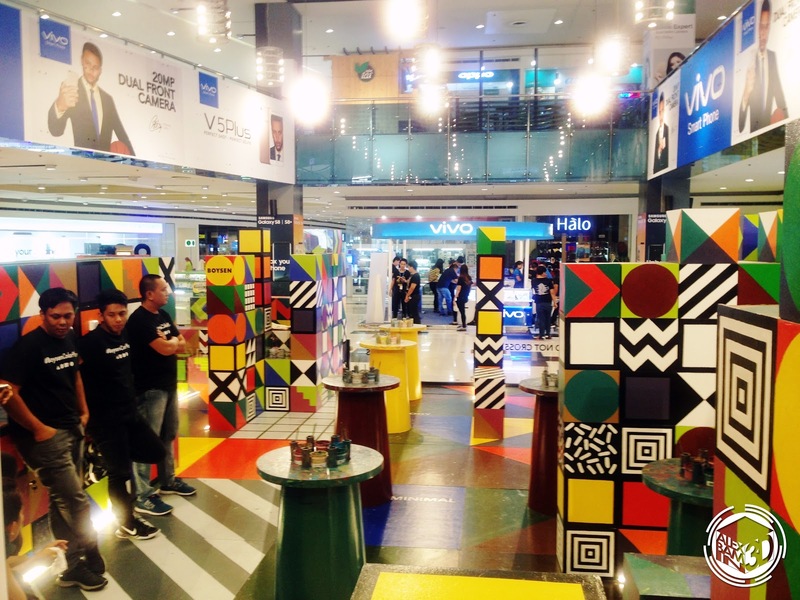 Pinoys are really an artistic bunch, not only on the performing arts but also in visual arts. This is why Boysen recently introduced a new and fun activity that can help us bring out our artistic side through colorful works of art. 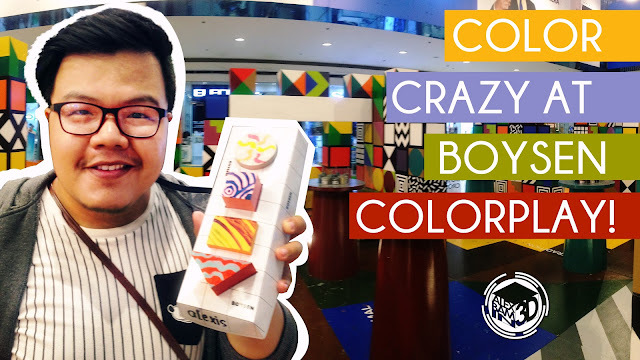 Boysen Color Play is an art installation that Boysen Paints Philippines roams around in different parts of the country to let people experience creating their own masterpiece. 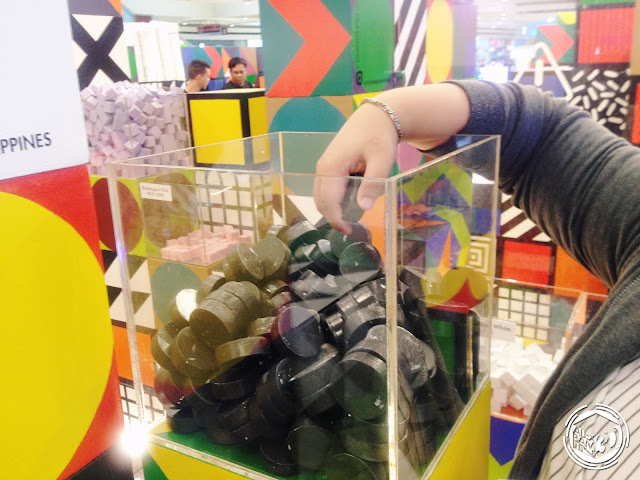 I recently went to SM City North EDSA where they set-up the Color Play booth and tried what it is all about. 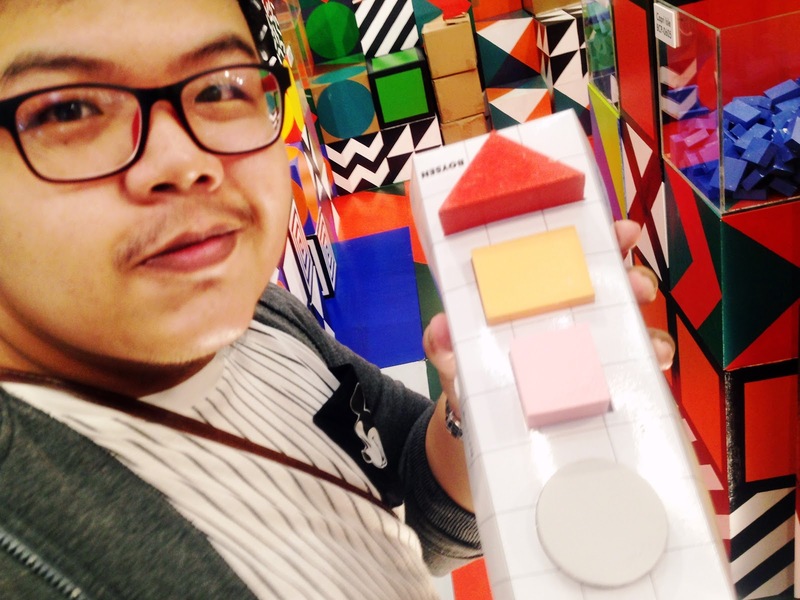 First thing that they told me to do is pick my own little colorful wooden blocks and put them in my tray. 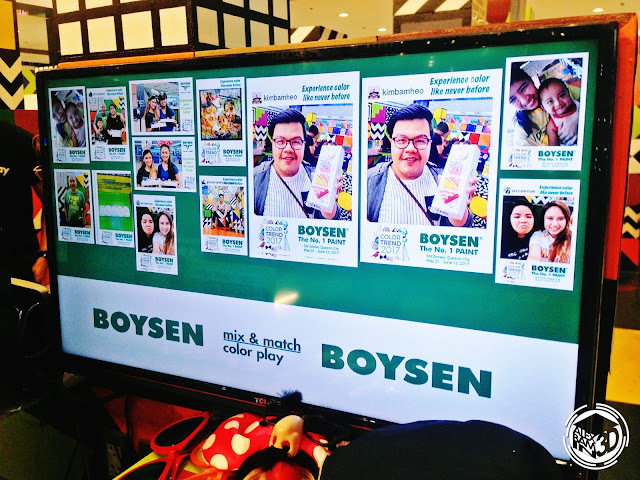 They have tons of options, all using Boysen’s wide variety of paints in different colors and shades, did you know that they have tons of pastel colors as well? 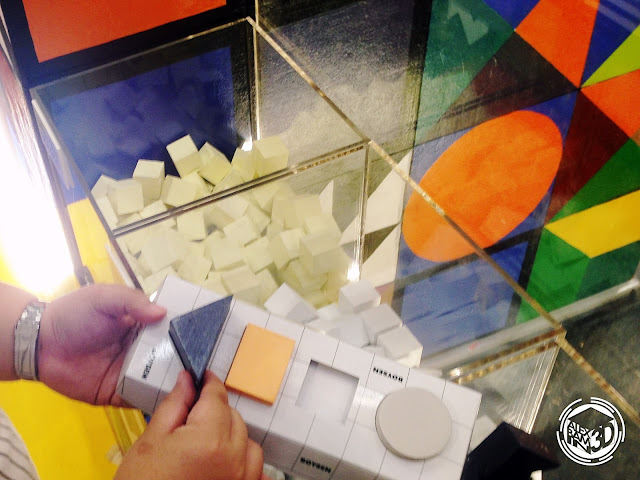 I didn’t know that until I found some while picking my mini blocks. 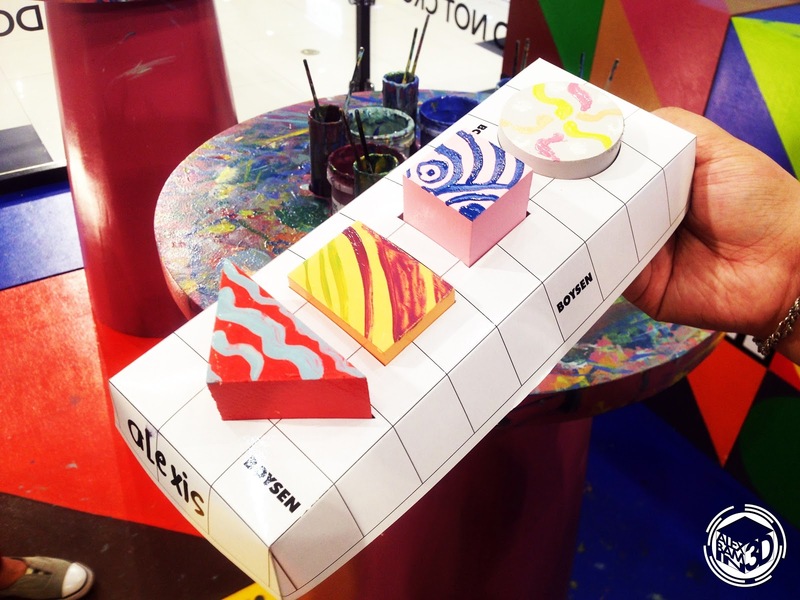 Once done, the maze-like walkway will lead you into the painting area where you can paint the blocks you picked whatever color or design you liked. I’m really not an artistic person when it comes to painting but I did my best artsy design I could do. 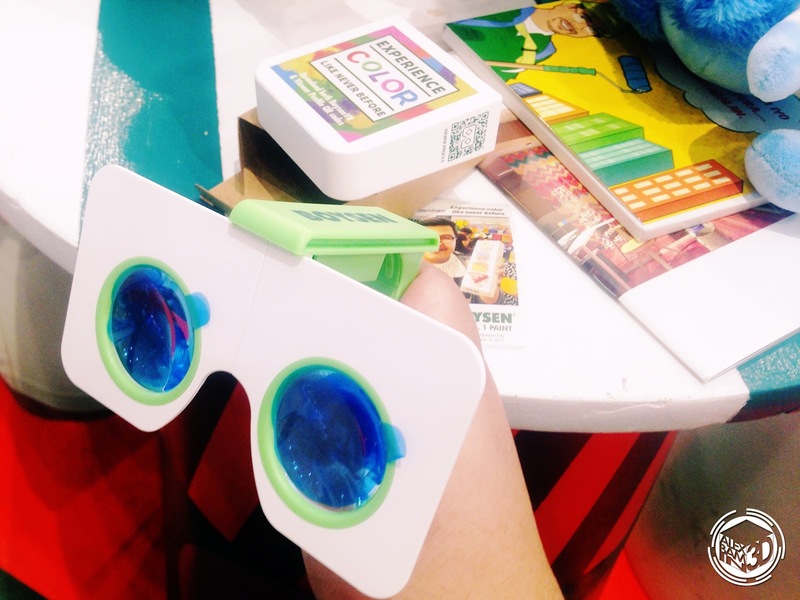 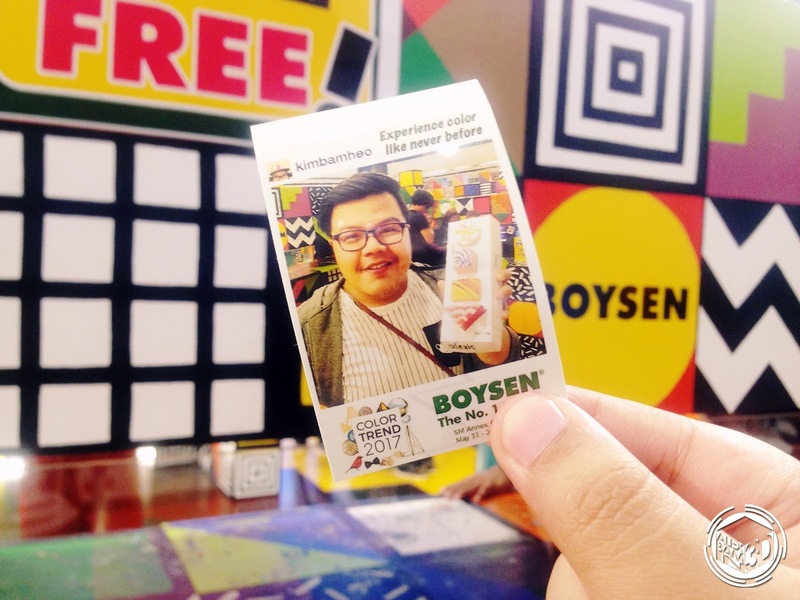 After finishing my own Boysen Color Play creation, I gave them to the staff for them to dry the paints while they led me to the VR room where I checked out how Boysen paints can turn a boring room into a lively and colorful one. I was then assisted to the photo room section where I can take photos, upload them to Instagram with the hashtag #BOYSENcolorplay and they will automatically print it out! 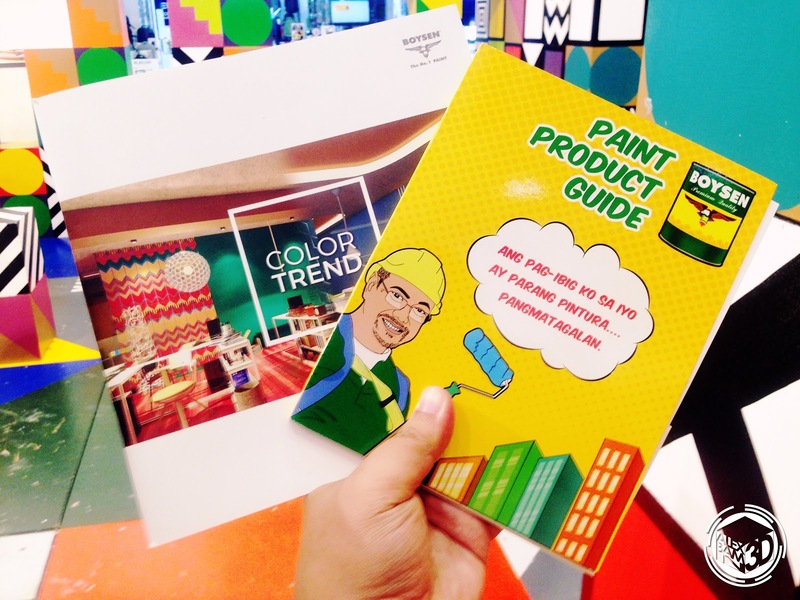 As a parting gift, I received a copy of their Color Trend book where I can check out room inspirations and the paints they used, plus a product guide so I can easily pick the colors I want – really perfect since I’m moving solo to a new place soon! 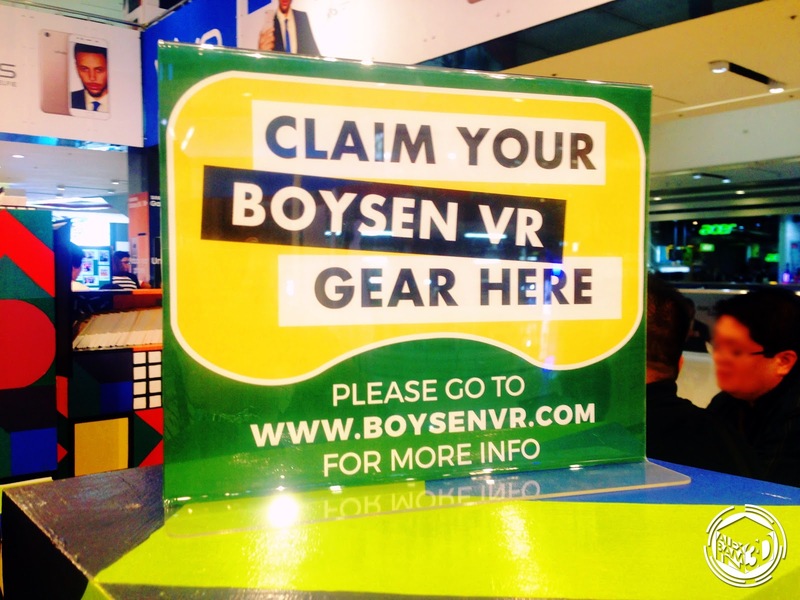 Remember when I mentioned that I went into their VR area? They actually gave me my own Boysen Pocket VR that I can use with the BoysenVR App which you can download at www.boysenvr.com. 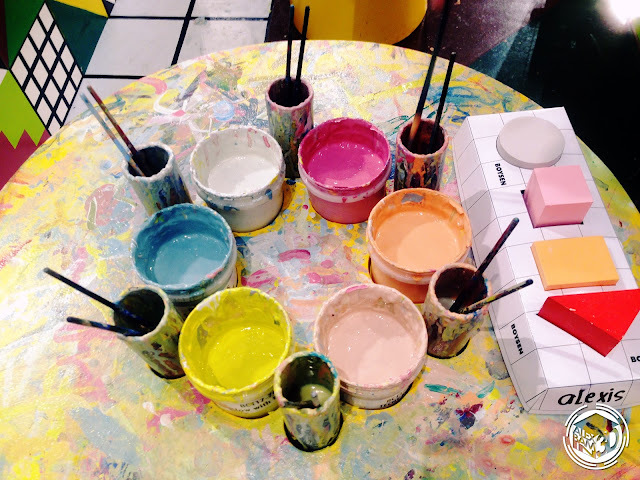 The best thing about this experience is that it’s all FREE for everyone to try. 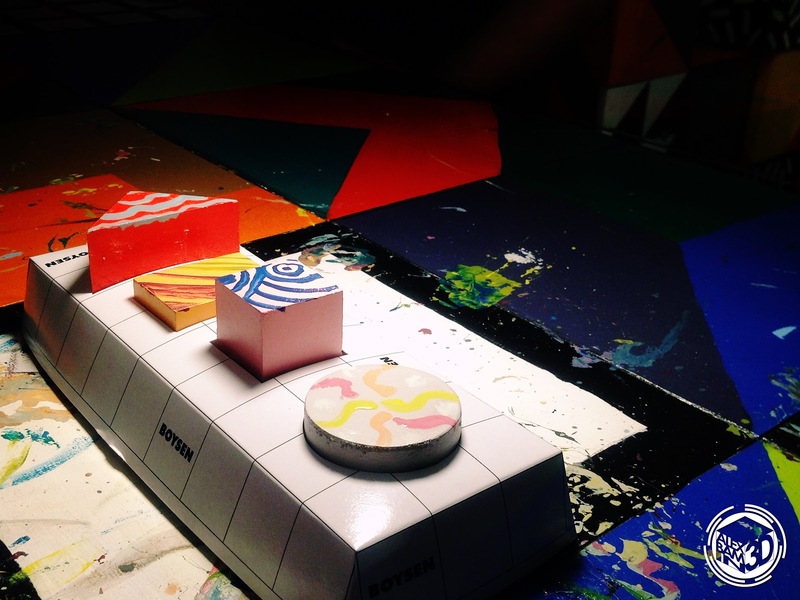 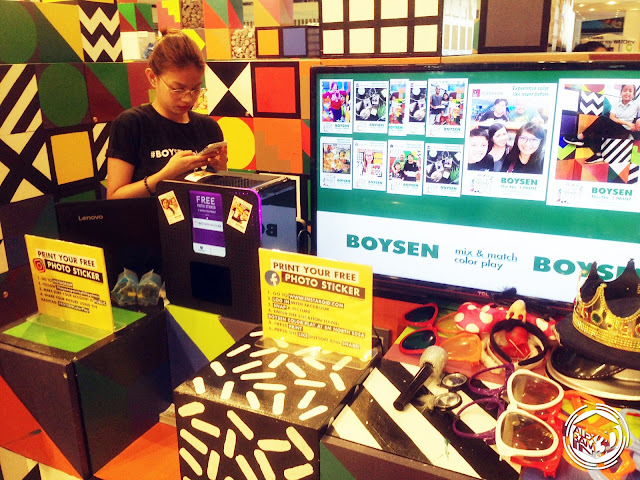 Want to experience Boysen Color Play? Make sure to like & follow Boysen Paints Philippines on Facebook and Instagram to be updated on where Boysen Colorplay is heading next!